Ghpage.com yesterday published a photo which was shared by the Adom Tv on their Facebook page.In the photo have the Wife of Vice President Dr. Bawumia, Samira Bawumia with Pammi of Kumkum Bhagya Fame. And a few hours after the photo was shared generated a lot of controversies where most argued that, it’s not real but a mere photoshop to generate a sensation for the longest running Tv series in Ghana today,Kumkum Bhagya. Filmmakers, actors, critics on several occasions have spoken strongly against Adom TV’s Indian telenovela Kumkum, claiming it is rather killing the movie industry or ‘diffusing’ our cultural values. Many have said, it is because of it that the local movie industry is dying. 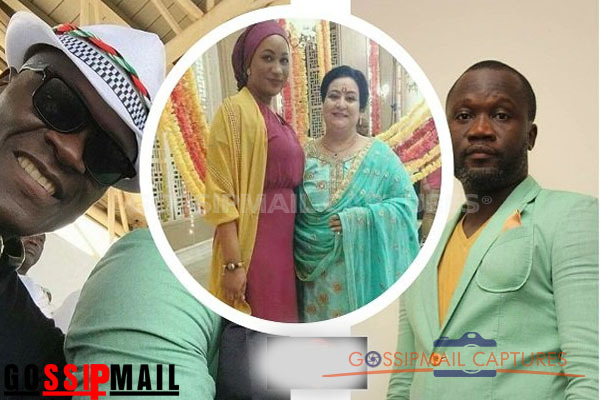 However, a picture, which is believed to be Samira Bawumia in a pose with one of the casts of Kumkum Bagya,Pammi which some have also argued is a photoshop has caused the wrath of movie producer Ola Kwaku Michael who cannot understand why Mrs Bawumia would take time off her busy schedule to take a photo with a cast of a movie Ghanaians are fighting against. The former FIPAG PRO and the NDC activist, in a Facebook post, sarcastically applauded the Second Lady for her action. “Have your say. But stop fighting kumkum bagya. It’s a lost battle! Well done 2nd lady. You are a great inspiration to the Ghana film industry.” he wrote.